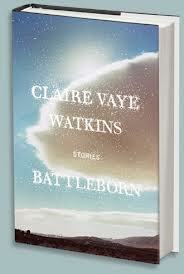 Congrats to issue 24.1 contributor Claire Vaye Watkins on the publication of her first collection of stories, Battleborn. And, to cap it all off, Claire Vaye Watkins was also recently recognized by the National Book Foundation as one of this year’s “5 Under 35″ authors! What a huge honor! Watkins was born in Death Valley in 1984 and raised in the Nevada desert. In addition to Sycamore Review, her stories and essays have appeared in Granta, The Paris Review, One Story, Ploughshares, Glimmertrain, Best of the West: New Stories From the Wide Side of the Missouri and elsewhere. She has received a Father William Ralston Scholarship from the Sewanee Writers’ Conference and a Presidential Fellowship from the Ohio State University, where she received her MFA. A graduate of the University of Nevada Reno, Claire is an assistant professor of creative writing at Bucknell University. We are thrilled that her story “Wish You Were Here” appears in issue 24.1 of Sycamore Review. You can read an excerpt here.